Fair & Impartial Policing, LLC© the #1 provider of implicit-bias-awareness training for law enforcement in North America. Fair and Impartial Policing, LLC© has provided implicit-bias-awareness training to agencies of all sizes & types, including state, local, federal and university police organizations. "This class really sparked introspection with regards to my own bias and preconceived notions. I learned how I might change the way I deal with future situations as an officer, but also in dealing with people off-duty." In our implicit-bias-awareness curricula, we convey the science of bias and discuss the negative consequences of letting “hidden biases” impact perceptions and behavior and, most importantly, we teach police professionals the skills that they need to reduce and manage their biases. Those skills will not keep them from doing their important job of crime control; instead the skills will enhance their ability to engage in that important work more safely, justly and effectively. Those skills will also further an agency’s efforts to strengthen the relationship between the department and the diverse communities that it serves. There are five curricula that reflect the science-based fair & impartial policing perspective. 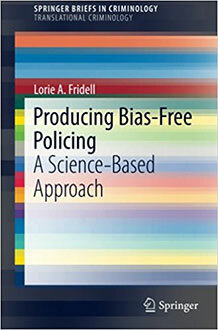 This book introduces the science of implicit bias, discusses how implicit bias might manifest in policing and provides specific recommendations for police professionals to reduce the influence of implicit bias on police practice. The author is donating her proceeds from this book to the National Law Enforcement Officers Memorial Fund (nleomf.org).